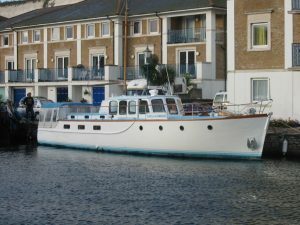 Syrinx is a tradtional style Broads Yacht designed by William Parker and built in 1936 at W S Parker Marine, Oulton Broad, Lowestoft. William Parker has an established reputation in Norfolk as the designer of the extremely successful Waveney One Design Class in 1921. 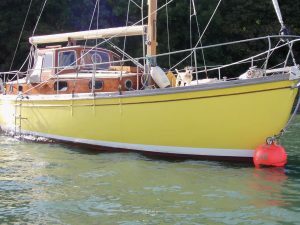 George Thorp commissioned William to design and build Syrinx a gaff rigged auxiliary sloop in 1936. 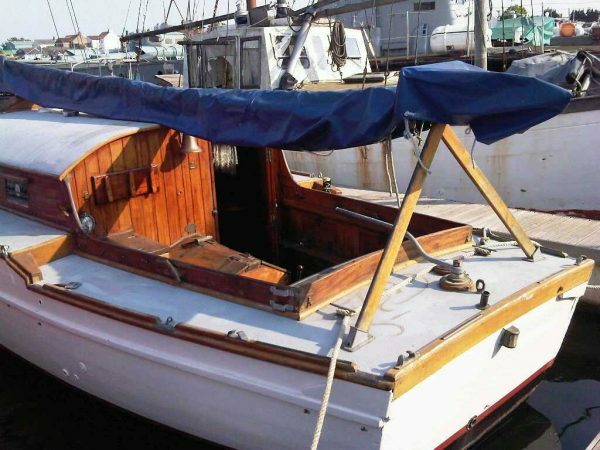 George already owned Picaroon , a 1912 built 26ft Sloop also designed and built by William Parker. 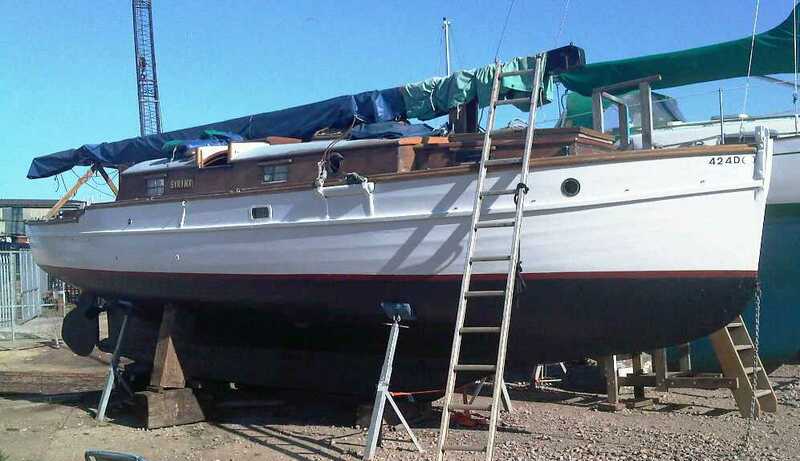 George Thorp, a member of the Humber Yawl Club and Waveney Sailing Club owned Syrinx for nearly thirty years. 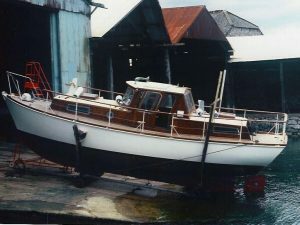 Her second owner was D Meyrick of Selby followed in 1970 by D Jubb of Hepworth who moored Syrinx in Hull. Syrinx has now been in the current family ownership for twenty years during which time she has been moored in York, Lincoln, Thorne and on the Norfolk Broads. She was sailed down the coast from Great Yarmouth to Boston and through the tidal River Trent. Syrinx is now back in home waters and with her counter-balanced mast is ideal for coastal, estuary or Broads cruising and can navigate most bridges including Potter Heigham. Over the years Syrinx has been renovated included West System epoxy sheathed decks and more recently 110ft of replaced planking. 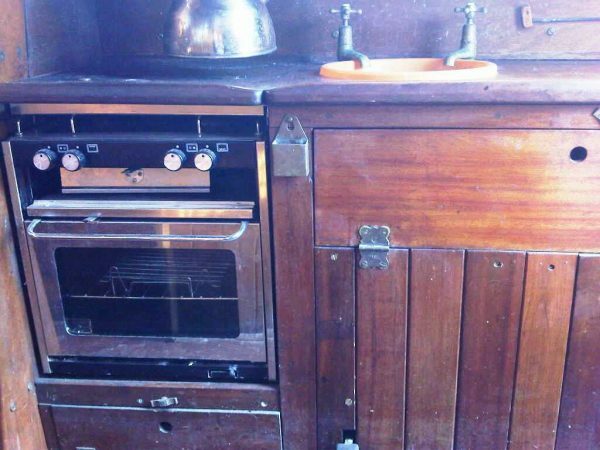 Syrinx is of traditional carvel construction, pitch-pine planked, copper fastened to steam bent oak timbers. Five berths in two cabins. Original mahogany joinery. 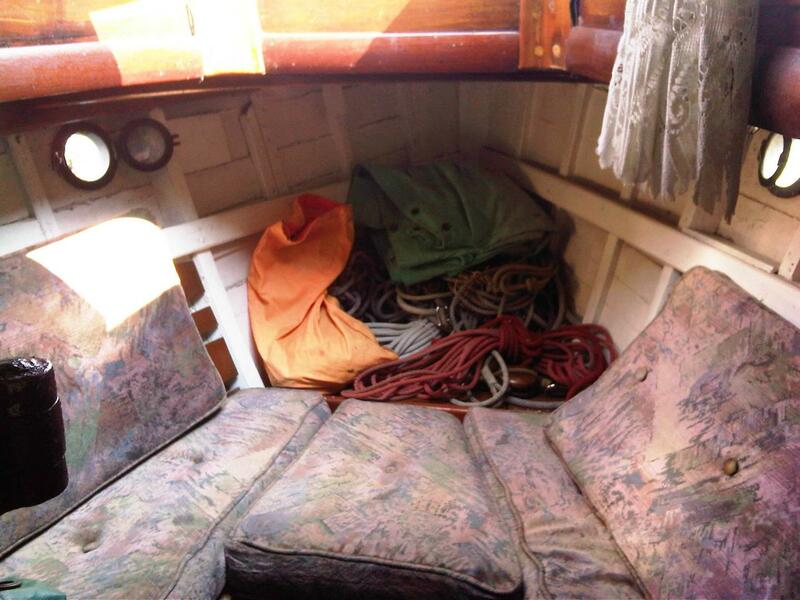 Double berth fore-cabin, two saloon settee berths and quarter berth. 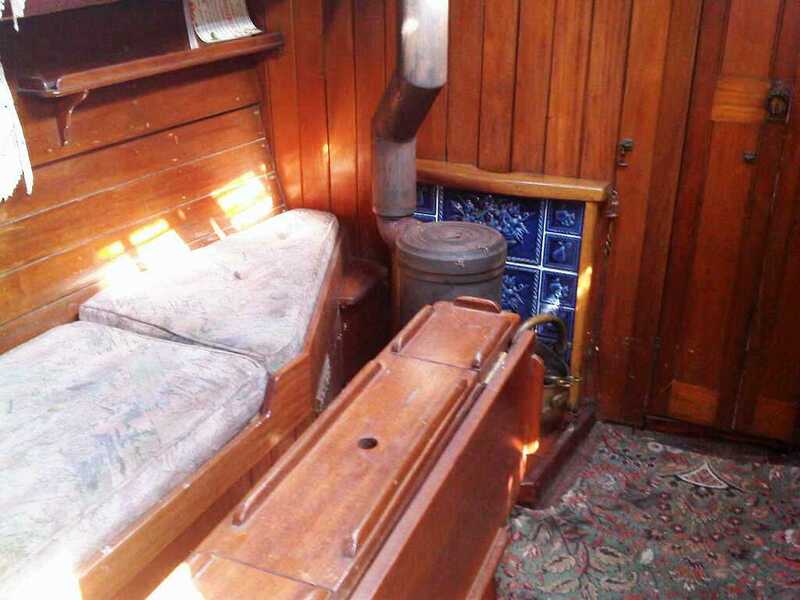 Galley, Heads Compartment and cast-iron solid fuel stove in the saloon. Gaff Rig with wooden blocks, Jeckell sails. Full winter cover. 20hp two cylinder Thornycroft petrol engine with some spare parts. An extremely original 1930’s Broads Yacht with many period features and original Thornycroft engine. 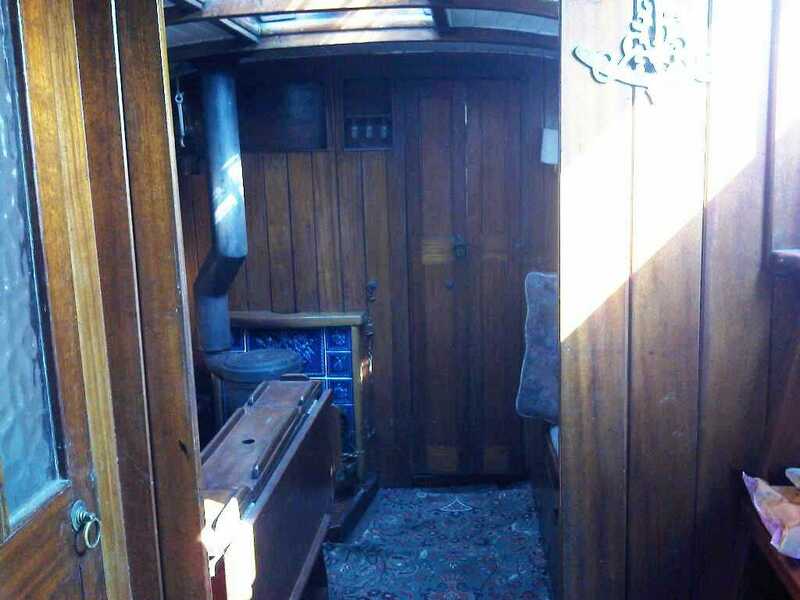 A well loved family boat for the last twenty years but now in need of a new custodian. 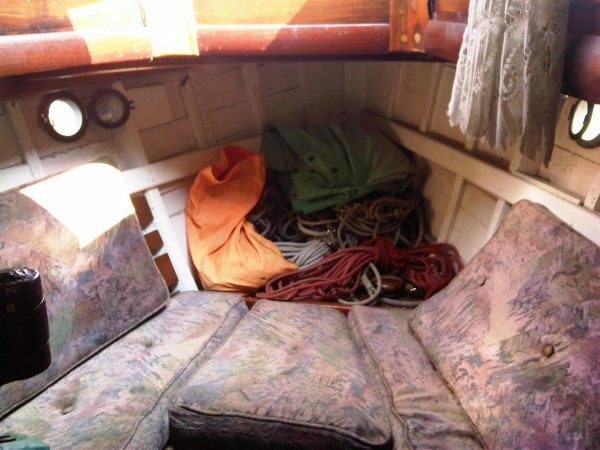 Offered at a realistic guide price with offers considered to take in to account the rigging and engine overhaul now required.